But now we need to move on to the tougher questions. Why is American Reformed theology so characteristically a-liturgical? What is it about our theology or our ecclesiastical life and history that has created such an a-, even anti-liturgical consciousness? Why don't our theologians even attempt to write a theology of worship? And why are our theologies written without any attempt to integrate and address liturgical texts and practices? Sure, we have all sorts of books on worship, but not one that attempts to provide a rigorous theological account for a Reformed liturgical service. What we need are serious academic books that would analyze and interact with not only the whole Bible but the history of liturgy in order to bring about a creative synthesis. I guess what I am looking for is something along the lines of what has been done by Catholic, Lutheran, and Orthodox theologians. 5) a failure to acknowledge the fact that the NT does not simply abrogate but transforms the sacrificial typology of the Old Testament by explaining its fulfillment in Christ and his body, the Church. In future posts I will comment on each of these five problems. The imperious curse doesn't work without a wand. In the previous post I said that one of the chief reasons many Presbyterians don't like liturgy is that they have never experienced a liturgical service that was executed well. Presbyterian ministers don't know how to preform rituals. Part of the problem is they believe they need to be causal and cheeky with the congregation in order to be received as "authentic." As if, authenticity and ritual are antithetical. “No, it wasn’t,” they said. With that, I broke my rule and had a very productive conversation with my children about liturgical protocols and the valuable service it rendered to God’s people. As Paul says to Timothy, “Watch yourself and teaching carefully. Persevere in them, because if you do, you will save both yourself and your hearers” (1 Tim. 4:16). Liturgy is not something you can just read about in a book and go do. The one who would lead God’s people into his presence needs mature guidance and a great deal of guided experience under someone skilled in the art of liturgical leadership. Some of us who have been raised in liturgical churches have a distinct advantage. Others, aware of their own deficiencies, have deliberately attached themselves to qualified pastors for mentoring during their seminary training or internship. If you are already in the pastorate, however, there are ways to acquire adequate competence. I suggest that you use every opportunity when you are not officiating at your own congregation to visit, worship, and carefully observe qualified ministers in more liturgical communions. To this day, I continue to visit orthodox Lutheran and Episcopal churches when I am on vacation, watching, observing , learning, and critiquing their liturgical craft. If you do have some competence in these matters, spend time with ministerial candidates in your church, teaching, training, and guiding them in the fundamentals of liturgical leadership. Perhaps the best way to unpack the meaning of these enigmatic “oneness” petitions of Jesus is to search the immediate context for clues. There are a few. Finally, at the end of his prayer, Jesus’ prayer for his disciples is that the “love you have for me may be in them” (v. 26). Jesus asks that the love the Father “had” for the Son may be “in” the church. Because of its compact formulations, John 17:20-23 invites the reader to explore just how the Father and Son are one by re-reading the Gospel with a view toward discerning the manner in which the loving relations between Father and Son serve as a model for the project of unification that must be “seen” in order that the world will believe. That a oneness grounded in love for one another is indeed Jesus’ concern in John 17 finds support in John’s epistles. There John uses the same sort of “perichoretic” language to refer to our participation in and imitation of God’s love. “God is love. Whoever lives in love lives in God, and God in him” (1 John 4:16b). Note: See Gruenler’s The Trinity in the Gospel of John, for a thorough investigation into the inter-trinitarian personal relations as they are revealed in the interaction between Father, Son, and Spirit in the Fourth Gospel. Even though the Gospel of John was a major source for the patristic doctrine of the Trinity, they never seem to have mined it for its implications for human sociality (see Cornelius Plantinga Jr., “The Fourth Gospel as Trinitarian Source Then and Now,” in Christian Faith and Practice in the Modern World: Theology From an Evangelical Point of View, ed. By Mark A. Noll and David F. Wells [Eerdmans, 1988], pp. 303-321). Augustine, for example, seems so bent on illustrating the ontological unity of the Three that he disparages their social or interpersonal unity. Although he mentions it in passing, he does not linger over it. Jean-Baptiste Du Roy argues that Augustine was enough of a Christian churchman in submission to the written Word to be attracted to ecclesiastical intersubjectivity from John 17 as a viable social analogy for the Trinity, but too beholden to Neoplatonic ontology to fully embrace it (“L’expérience de l’amour et l’intelligence de la foi trinitaire selon saint Aubusin,” Récherches augustiniennes 2 : 441-43). Okay, well, I guess I have to brag about my son. He loves to watch Food Network. I think he dreams about Rachel Ray. So, anyway. 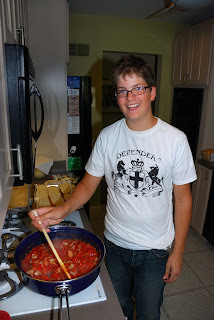 For his birthday this year we sent him to cooking classes for about 4 weeks. This week he had his second class and learned some Italian cuisine. Yesterday evening he cooked his first meal for us. He pretty much did the whole thing from scratch with his notes from his class. I helped a little here and there while the matron of the house watched the news. "It's your turn, " she said. "I taught the girls." So we had pasta, a homemade Pizza (he even made the dough), and delicious cheeze garlic bread. He's almost like that rodent at the movies. What did the checkout lady at Shop & Save call him? Oh yeah, Rat-tat-tootie. Oh, and did I forget to say that it was all very tasty. Our Presbyterian brothers and sisters in Christ will never enthusiastically embrace liturgical worship without a pastoral leadership that is not only able to explain its biblical and theological rationale in lessons and sermons, but maybe more fundamental even than didactic expertise, be able to lead liturgical worship with pastoral expertise and sensitivity. I believe that too many Presbyterians congregations have not experienced the benefits of a liturgical service and this is primarily because our ministers themselves have not experienced anything like the kind of lively, engaging, biblical liturgy of which I speak. And it goes without saying that they have not been sufficiently trained in liturgical leadership. Leaving the theology of the liturgy to one side for the moment, let me address the question of competence in officiating liturgical worship. Presbyterians congregations don’t like liturgy because their ministers don’t know how to lead such worship. Consequently, since they have had no definitive training, pastors either causally and often rather apologetically and bashfully “lead” worship services without much confidence in their official station as ordained ministers. Worse still, many simply abdicate leadership entirely to “worship committees” and “worship teams.” There are all sorts of “performance” issues, I believe, that obstruct proper appreciation of liturgical worship. Some “traditional” services are performed so slowly and deliberately that they lack the life and drama that ought to characterize liturgical worship. The minister’s portion of the service may be conducted with such tediousness that no one is inspired to respond with heart-felt words of confession or praise. Hymns may be sung at such a ponderous tempo that many in the congregation look forward to the final stanza. Even if the proper order of approach to God is observed, the leadership can so careless that people fail to appreciate what God is doing for them at any given point in the service. The experience of the Reformation also teaches us that when liturgy goes awry the problem may be less with its form and content than with the way in which it is celebrated and interpreted. Today historic forms of worship are being jettisoned in favor of “alternative liturgies” that employ popular-type songs and dramas with the argument that traditional liturgy is boring or meaningless to occasional (and sometimes even to regular) worshipers. Almost invariably this argument is put forward by pastors who have little competence in presiding at the liturgy in a knowledgeable or compelling way and who may even be insecure in the role of presiding minister. This ritual incompetence includes not only poor public perfor¬mances by ministers, musicians, and congregations but also poor judgment on the part of worship planners in deciding what to add to or subtract from the orders provided in the authorized worship books. Many liturgies get bogged down in extraneous details not specified by the order, or go in uncertain directions ritually and therefore also theologically. It is little wonder that they fail to engage contemporary worshipers. As to the argu¬ment that the liturgy is boring, the historic Western liturgy does not suffer from a monotonous sameness; it has a built-in principle of variation in the rites, customs, and textual and musical options of the church year (“The Reform of the Mass: Evangelical, but Still Catholic” in The Catholicity of the Reformation, ed. by Carl E. Braaten and Robert W. Jenson [Grand Rapids, MI: Eerdmans, 1996], p. 51-2). I'm only halfway through book 7, so I don't have anything to say about that yet. But I thought I would post this talk I did on the novels last year. This was part of a "Cultural Discernment" series that the Associate Pastor and I have been doing for a number of years. We review, critique, and discuss books, movies, etc. about once a quarter. What Should Christians Do With Harry Potter? I gave this talk last year (Nov. 6, 2006) at an evening service. It's an informal talk, not a sermon, so the lecture can be hurky-jerky at times. And I'm using a PowerPoint presentation to illustrate and sometimes read my points. I would suggest downloading both the audio file and the PowerPoint doc. "The realm of fairy-story is wide and deep and high and filled with many things: all manner of beasts and birds are found there; shoreless seas and stars uncounted; beauty that is an enchantment, and an ever-present peril; both joy and sorrow sharp as swords. In that realm a man may, perhaps, count himself fortunate to have wandered, but its very richness and strangeness tie the tongue of the traveller who would report them. And while he is there it is dangerous for him to ask too many questions, lest the gate should be shut and the keys be lost." -- J.R.R. Tolkien, "On Fairy-Stories." That Jesus is speaking about the immediate future and the “survival” of his disciples’ after his own exit is confirmed by what comes after this petition for oneness (vss. 12-19). It is their remaining “in the world” that is Jesus primary concern. Even though he himself is leaving the world, he wants their joy to be complete in the world (v. 13). The world hates them (v. 14), but Jesus prays to his Father not that they be taken out of the world, but “that you protect them from the evil one” (v. 15). They are being “sent into the world” just as Jesus himself was, which is why they must be “sanctified by the truth” (vss. 17-18). These contextual features argue against a purely “eschatological” reading of Jesus petition for oneness here in v. 11 or in the expanded prayer of vss. 20-23. Jesus is not merely praying for the perfect unity that will be fully established in the Church only at the eschaton. Rather, he is requesting immediate help for his disciples when he shortly leaves them behind. Their survival “in the world” will be dependent in some sense on their experiencing the kind of oneness that exists between Father and Son. These petitions, therefore, are directly applicable to the issue of ecclesiastical life and unity in the present age. And Jesus expands the prayer to include “those who will believe in me through their message” in 17:20-23. Once again, as we discovered from the context of 17:11, there is nothing here to suggest that Jesus is now praying for a unity that will only be experienced at the Last Day. This eschatological reading ignores the connections between 17:11-19 and the 20-26. It is the same “world,” the one in which Jesus will leave his disciples when he departs, that is now in view when Jesus twice asks that the oneness of the new community (disciples and other belivers) result in the “world believing” that the Father has sent the Son (vss. 21, 23). Having seen that Jesus prays for the unity of the left-behind community, we are faced with exegetical questions regarding the meaning of this oneness. First, it is a oneness which has as its archetype the unity of Father and Son (“that all of them may be one, Father, just as you are in me and I am in you,” v. 21a). "Just as" Father and Son are one, so the community of believers are to be one. But what does the phrase “just as you are in me and I am in you” refer to? What kind of unity does Jesus reference here? I would suggest that Jesus is not referring to the ontological perichoresis (or circumincessio) that trinitarian theology traditionally uses to describe the shared essence or substance of divinity, or even the mutual interpenetration of the three divine persons. I am not denying the accuracy of such metaphysical assertions. I believe that the metaphysical and/or personal perichoresis of Father, Son, and Holy Spirit can be defended from other passages and maybe even at a secondary level from these passages. It seems to me, however, that in this passage, where Jesus prays that these human creatures would exhibit the same kind of oneness as the Father and Son enjoy, he cannot have metaphysical or even ontological hypostatic perichoresis in view. Strictly speaking the divine perichoresis is a unique mode of divine existence. Neither is Jesus speaking of the ontological relationship between God and man, as Augustine seems to think (Augustine, Tractates on the Gospel of John 55-111, translated by John W. Rettig, in The Fathers of the Church, vol. 90 [Catholic University of America Press, 1994], p. 290). What is in view in Jesus’ prayer is something inter-personal, something that human creatures can emulate and image, not a metaphysical existence characteristic of the uncreated trinitarian mode of being. Moreover, the oneness that Jesus prays for is capable of maturation or completion (John 17:23), so it must admit of degrees. All of this suggests a oneness that is not fundamentally ontological. Note: I am willing to grant what Volf claims—that the mutual giving and receiving of love spoken of in this passage and others “presupposes an already existing connection of some sort, however rudimentary” (Volf, After Our Likeness, p. 212). Such an ontological state of affairs may be presupposed in what Jesus prays for, but it does not help us explicate the meaning of the oneness for which he prays. Is there some sense in which God’s perichoretic mode of being as Father, Son, and Holy Spirit has been structurally reproduced within the created existence of humanity? Is the ontology of created human existence such that we inevitably exist in some deep structural sense in perichoretic relation to one another and all “partake” of one common human “nature”? Maybe. I’m not affirming or denying such a philosophical construct. Colin Gunton makes a good argument that the transcendental ground of human sociality resides in God’s trinitarian sociality (The One, the Three, and the Many: God, Creation and the Culture of Modernity, The Bampton Lectures, 1992 [Cambridge University Press, 1993], pp. 210-231). If, however, such a “trinitarian” anthropology is correct, it will have to be defended from other passages. I can find no evidence that John 17:11, 20-23 refers to, or assumes such a state of affairs. Jesus is praying for something that his left-behind community does not posses by virtue of their creation, but possibly something they have lost as post-lapsarian humanity. At any rate, he is praying that the Father grant to them something “extra,” that is the renewal of God’s intention in created human sociality. Seven years ago I gave a talk with this post's title at a conference on worship. Since that time I have continued to think about this question. I'd like to deal with this issue again from time to time on this blog. Some of what you find here will be simply copied from that lecture. But after seven more years of experience I do believe it will be necessary to make some corrections and additions to my original points. I noted at the beginning of my original essay that the title is at once both grotesquely overambitious as well as sheepishly understated. It is overambitious in the sense that it suggests that I might provide some kind of definitive reason or list of reasons for the a- or even anti-liturgical character of much of conservative Presbyterian worship in America. Someone might think, too, that I have some fool-proof antidote for those who have been poisoned against liturgy. I do not pretend to be able to perform either of these miracles. Despite the provocative title, I have something more modest in view. I will attempt to isolate out of many possible historical, social, cultural, philosophical, theological, and practical factors a few that seem to me to present a strategic challenge to those of us who are working to restore, or better, re-form and implement a Reformed catholic liturgy in our churches. The title is also timidly understated in that the attitude among many conservative Presbyterians toward liturgy may be much more hostile than the words “don’t like” suggest. Many in our churches, truth be told, are downright afraid of liturgy. They fear it. Some do so out of ignorance or inexperience, or maybe both. They may never have been given any instruction in the biblical and theological rationale for a liturgical service or may simply have never experienced what we are advocating. Their only experience with liturgy may have been at a Roman mass or Lutheran service in which the whole service was mumbled and the congregation's participation was less than vigorous and lively. Others fear it for quasi-historical reasons. There are, of course, good reasons to fear liturgy, if by liturgy one means simply adopting present-day Roman, Eastern Orthodox, or high Anglican liturgical services. Not everything these communions do, of course, needs to be rejected. Whether we Presbyterians are still justified in rejecting liturgical worship because of its past (and present) associations with Episcopalian and Roman Catholic churches is a theological and historical research project that desperately needs attention. The other good reason to fear liturgical reform is if it means something like repristinating any one past traditional liturgy in the Reformation tradition. The goal of liturgical reform must never be reenacting any particular historical liturgy, be it Augustine’s, Bucer’s, Calvin’s, Knox’s, etc. Our desire must be to reform our catholic heritage according to the Word of God. One Reformed author recently chracterized all liturgical renewals as attempts to “imitate the practices of 500 years ago.” This liturgical romanticism has no place in a genuine liturgical renewal. It is a common straw man in arguments against liturgical reformation. Performing an old, historic liturgy would be the kind of thing an historical reenactment club might do. The Catholic liturgical scholar Louis Bouyer calls this “liturgical archaeologism.” According to Bouyer, such romanticism constitutes “one of the fundamental problems of the liturgical movement. For no reconstructions of the past—however excellent the period one chooses to try to bring to life—can be achieved without a large admixture of the products of one’s own fancy; and such reconstructions are likely to raise more problems than they can solve” (Liturgical Piety [Notre Dame, IN: University of Notre Dame Press, 1954], p. 12). As Bouyer warns us in another place, there is always the danger for those interested in liturgical renewal to become possessed by the “spirit of bogus archaeological restoration.” And again: “For if the stubborn rejection of the Church and the world as they are today were held to be the necessary preliminary to any authentic liturgical renaissance, this fact in itself would certainly constitute the most perfect condemnation of that renaissance.” Unfortunately, far too many men in the Presbyterian tradition think that liturgical renewal is reproducing 17th-century Scottish forms or dropping Calvin's Genevan service into the modern world. That is not what I have in mind. Perhaps we should also note how Liturgical worship and theology have fared much better in what we would consider largely liberal or neo-orthodox Presbyterian churches (like the PCUSA or even the Church of Scotland). This fact alone surely contributes to a confessional Presbyterian's suspicion of all things liturgical. If these churches like liturgy, then it must be bad (see the Presbyterian Church (USA) Book of Common Worship (1993) and the recent essays on it in Bryan D. Spinks and Iain R. Torrance, eds., To Glorify God: Essays on Modern Reformed Liturgy (Wm. B. Eerdmans, 1999). I should have more time to post some biblical & theological stuff in a few days. For the past few days I've been. . .
• trying to sneak time to read Harry Potter 7. I'm only a few chapters into it. • getting everything ready around the house today for my wife's 50th birthday party at 4 PM. Jeffrey and I still have to cut the grass and clean up. • staying up till 1 PM (last night) to play Call of Duty on the new Xbox 360. It's addicting. • beginning to preach this week on the 7 letters in Revelation 2-4. I'll have some comments on that in a few days. • spending a few days (Friday and Saturday) out at a friend's hunting cabin with 6 other guys. We moved some deer stands to better locations and had a bit of competition with rifles, pistols, and shotguns. The weather was amazing. Friday night felt like a fall evening. Nice breeze. • visiting the aunt of a new member at church who had surgery for ovarian cancer this past week but developed critical complications. Pray for Diane. The kind of sacrificial, self-effacing love that Adam ought to have exercised toward his wife is precisely the divine love manifest in the incarnation and death of the Son of God. And this divine love cannot simply be the love God has for us ad extra, but must be an expression of the quality of love shared between Father, Son, and Holy Spirit. John’s Gospel explains that the confession “God is love” means that the love shared between Father and Son (John 3:35; 5:20) has now been extended to include those (like a bride) that the Father has given to the Son (John 3:29; 14:21-23; 15:9; 17:24). The New Testament as a whole forces us even more than the Old to the question whether it is only casually and externally that the One whom it calls God fulfills the fellowship with man foreshadowed in the Old Testament covenant by humbling Himself so deeply, and exalting man so highly, that He was ready to take the being and nature of man to Himself and to be concealed and revealed as the Lord in the man Jesus of Nazareth. If this act was not casual, if in it He did not estrange himself from His divine essence, if on the contrary He was supremely true and just towards it, in this act and in His essence He was again the God who cannot in any sense be equated with the unmoved deity of Plato and Aristotle and therefore with a God who is to be loved erotically. In His very essence He was the Father who loves the Son and the Son who loves the Father, and as such, in the communion and reciprocity of this love, as God the Father, Son, and Holy Ghost, the God who is self-moved, the living God, the One who loves eternally and as such moves to love (CD 4/2, p. 759). What this means for the inquiry at hand is that this inter-trinitarian divine love now serves as the model for all brother-brother relationships in the church. At least two Johannine themes deal with the paradigmatic nature of God’s social being for the Church. The first is John’s record of Jesus’ prayer for unity in John 17, and the second is the way John so forcefully brings out the link between God’s love and ours in his epistles. Much more could be said about how John emphasizes the character of the social relations between Father, Son, and Spirit in his Gospel. “In the Fourth Gospel it is the personal and social God who is revealing himself to creatures who are also personal and social because they have been made in the image of the divine Community. What is arresting as one listens to Jesus speaking in the dialogues of John is how much he reveals about the inner social relationships of God as Father, Son, and Spirit and of their oneness-in-threeness and threeness-in-oneness” (Royce Gordon Gruenler, The Trinity in the Gospel of John: A thematic Comentary on the Fourth Gospel [Baker Book House, 1986], p. 5). 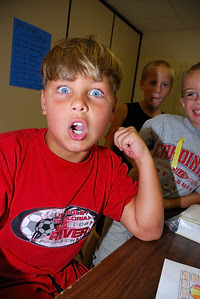 I've uploaded over 150 photos I took this past Wednesday of our children at VBS. A word of caution, parents. Some pictures may contain disturbing images of children manifesting extreme forms of goofiness and silliness. Prepare yourself. Me: If Adam had to wait and ask to eat of the fruit of the Tree of the Knowledge of Good and Evil, what did God intend to give him by means of the fruit of this tree? 7th-grade boys: Well something that had to do with knowing good and evil, but not something simple like knowing right from wrong. Me: How would we determine what this tree stood for or what it symbolized and what God would give them through it? 7th: We don't know. You tell us. You're the pastor! Me: Well, I could just tell you, but I think you can find out yourself if you just think about looking in the rest of the Bible for the phrase "the knowledge of good and evil." When people have this "knowledge," what is it that they have? Start by looking in 1 Kings 3. Look at what young Solomon asks for in verses 7-9. 7th: He needs the wisdom to rule the people. He asks for "an understanding mind to govern your people, that I may discern between good and evil, for who is able to govern this your great people?" Is "discerning between good and evil" like "knowing good and evil? Me: Yes. It's pretty much the same thing. Solomon is asking for the wisdom necessary to judge or discern what's right and wrong when it comes to the many difficult cases and issues that a king must determine when governing a nation. Look what happens in the story immediately after Solomon's request. God immediately answers his prayer and gives him the ability to discern good from evil in the matter of the two prostitutes. Me: I'll answer that in a minute. Just wait. Do you remember the story? [Retell the story.] So this is what Solomon asked for when he asked to discern good and evil. 7th: So was Solomon like a new Adam or something? Me: Exactly. Not the New Adam, but a new Adam in the story of Israel thus far. Jesus, of course, will be the final and lasting New Adam. Notice that God commends Solomon for his appropriate request and gifts him with "a wise and discerning mind." Solomon, the Son of David, is a new Adam. The text of First Kings calls attention to this shortly after Solomon's prayer for wisdom, recounting the accomplishments of Solomon that remind us of Adam's naming of the animals (1 Kings 4:29-34). 7th: So would the first Adam have eventually needed to have this wisdom, this knowledge of good and evil, when there were more people on the earth? He would have then known to ask for it? Me: Yeah, something like that. Adam began his life like an infant, even though he was physically full-grown. Children do not know "good and evil" in this judicial sense (Deuteronomy 1:39), which is why elders, not young people, are given the privilege of ruling on difficult cases in most nations and states. Even though Adam and Eve began their biological life as adults, they were nonetheless children in their experience of life and the world. It seems evident that God's program for them was to gain wisdom through their experience of life and the world, patiently waiting for God to grant them the gift of royal authority symbolized by the Tree of the Knowledge of Good and Evil. As Adam faithfully ate of the Tree of Life, giving thanks to God for his life, and as he diligently guarded and served the Garden and his new wife situated in the midst of the Garden, he would slowly mature into the kind of man qualified to rule over God's creation. That was the plan anyway. In other words, God promised kingly wisdom to Adam if he would but be patient and wait for God to mature him. When it became necessary Adam would ask God to eat of the tree and the Lord would have commended him, like he did Solomon, and Adam would have been granted wisdom and discernment to rule. Me: Why do you think God said that Adam and Even could not take the fruit from the Tree of the Knowledge of Good and Evil? 7th grader: Somebody once said that God didn't want them to know right from wrong, but that can't be right. 7th: Because they would have to know right from wrong to know that eating from the tree would be evil and not eating it would be good. Me: That's right. Good point. The TKGE was meant to give them something else. So why did he forbid them to take from the TKGE? Why couldn't they take the fruit and eat it. 7th: He wanted them to ask for it. Me: Hmm. What do you mean? 7th: God wanted Adam to ask him for permission to eat from the tree. Then he could give the fruit to them. They weren't supposed to just take it for themselves. Me: I think that's exactly right. And it fits with the meaning of the TKGE, with what God intended to give them when they asked for it. If the Triune God created human beings to enjoy fellowship with himself and with one another, even to reflect the unity and love that existed between the persons of the Godhead, then we should expect to find (as Gunton hinted at above) evidence in the narrative of the fall not only of individual rebellion against God, but also of a disruption in the social fabric of human life as it existed in the paradigmatic pre-fall communal relations between Adam and Eve as husband and wife. Not surprisingly, this is exactly what we discover in Genesis chapter 3. The “community of love,” as Grenz described it, did not last very long. A detailed exposition of the fall narrative is not possible here, but we can call attention to the fact that the fall was simultaneously a failure on the part of the first man and woman before God and in relation to one another. In disobeying God’s command, Adam failed to love his wife Eve. Eve also not only transgressed God’s explicit direction concerning the fruit of the Tree of Knowledge of Good and Evil, but she did so by communicating with and submitting to the Serpent rather than her husband “who was with her” (Gen. 3:5). One cannot say, as I recently heard a preacher assert, “This chapter [Gen. 3] is not about marriage but about man’s relationship with God.” These relations cannot be so neatly segregated one from the other—distinguished surely, but not separated. Adam fails in his relationship to God precisely as he fails his wife (“because you have listened to the voice of your wife,” Gen. 3:17). At the very least we should be able to acknowledge that integral to the multivalent account of Adam and Eve’s fall was their failure to fulfill their calling to image God in their relation to one another. We can probably go further than this and approach an understanding of how Adam should have acted toward his wife by examining the Second Adam’s faithful relation to his bride, the Church. In order to see this here in Genesis 3, we have to be sensitive to how the rest of the Bible uses this material (2 Cor. 11:1-6; Eph. 5:22-33; Phil. 2:1-11). Jesus is the true Image of God (2 Cor. 4:4; Rom. 8:29; 1 Cor. 15:49; Col. 1:15). According to the analogy of Scripture, seeing how Jesus Christ, the New or Second Adam and Faithful Husband behaved, we can surely reason that the first Adam ought to have been jealous for his own wife’s purity (with a “godly jealously,” Eph. 5:26-27; 2 Cor. 11:2). Unhappily, he thought more highly of himself than he ought and did not esteem his wife as better than himself (Phil. 2:3). He did not look out for the interests of his wife (Phil. 2:4), but sought to insure his own limited liability in the rebellious deal brokered by Satan (Gen. 3:12), standing by silently, according to Gen. 3:5, with the full knowledge that his wife was being spiritually seduced (1 Cor. 11:2-3; 1 Tim. 2:14). He did not love his wife (Eph. 5:25a), which means that he failed to treat Eve as his own body (Gen. 2:22) such that he would “feed and care for her” (Eph. 5:28-30). In so far as the New Testament links Adam with Christ and Eve with the Church (Eph. 5:25b), we should conclude that the First Adam ought to have laid down his life for Eve and for the destiny of the entire human race. The extent of the first Adam’s love for his wife, however, came nowhere near even his own discomfort, let alone his death. The first Adam ought have loved his wife sacrificially by guarding her from Satan to the point of sacrifice in defense of her purity. Adam’s rebellion against God was enacted in his failure to love and guard his wife. Thus, one cannot separate Adam’s behavior before God from his behavior with Eve. He failed to behave in a way that imaged God’s love, and in hating Eve he becomes an anti-image of the true Image of God, Jesus Christ. After all, the “love of Jesus,” that is Jesus' love for his bride, becomes paradigmatic for all human social relations, just as Adam’s love for his bride ought to have been. Note: Cornelius Van Til argued very convincingly that Adam was something of the first “neutral” social scientist, performing an experiment to see whether what God had said would come to pass—his wife being the experimental guinea pig (see Van Til, Survey of Christian Epistemology [Phillipsburg, PA: Presbyterian & Reformed, 1969], pp. 18-22, and Defense of the Faith [2nd ed. ; Phillipsburg, PA: Presbyterian & Reformed, 1953], pp. 91, 98-101). This detached way of relating to another human being is the antithesis of love and violates the core meaning of the imago dei. I'm sick of hearing and reading about the iPhone. I want upgrades on Apple computers. I don't give a rip about the iPhone. I use my phone to make calls and talk to people. That's it. I use my laptop for everything else when I'm away from my office. If Apple OD's on the iPhone, it'll be bad, real bad. Well, did you ever wonder about. . .
. . . the tallest man made structure on the Earth?
. . . the strongest earthquake in history?
. . . deepest canyon on the earth?
. . . the windiest place on the earth?
. 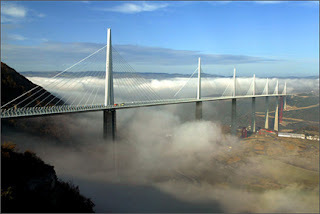 . . the tallest bridge on the earth?
. . . and more? The image of God cannot be reduced to the human individual possessing various faculties. Nor can the imago dei be individual humans as they are composed of "parts" (e.g., soul, spirit, body, or mind, will, emotions). Rather, humanity as a whole images God by mirroring God’s uncreated and eternal social life. Human life is theomorphic, and because God's being is irreducibly social so also humanity's being and life cannot but be social. Long note: This social dimension of the imago dei was not absent from early church theologians. For example, although Augustine has been accused of reducing the image of God to faculties found in the individual soul, such a reading of Augustine is severely truncated. One might stop and consider whether a good deal of the theological angst over Augustine’s psychological analogies has more to do with modern Western readings of his work which assume that Augustine’s illustrative triads refer only to isolated individual (i.e., self-conscious) minds (Michael Hanby, “Desire: Augustine Beyond Western Subjectivity,” in Radical Orthodoxy: A New Theology, John Milbank, Catherine Pickstock, and Graham Ward, eds. [London and New York: Routledge, 1999], pp. 109-126). At any rate, upon closer examination, Augustine does not appear to understand the “image of God” in a modern individualistic sense. Curiously, most systematic presentations of his trinitarian theology take no notice of his exegetical and polemic works, concentrating solely on his De Trinitate. Pursuing a broader spectrum of Augustine’s works, one discovers that he did indeed understand that the individual alone could not adequately image the fullness of God’s eternal relational life. Individuals per se are not created in the image of God, but mankind, human beings, “male and female” (Gen. 1:27) image God. One wonders if Augustine has become the theological-whipping boy simply because modern authors can only with great difficulty fashion readings of him that would support their own radical social or political agendas; see Charles Sherrard MacKenzie, The Trinity and Culture (New York: Peter Lang Publishing, 1987); David S. Cunningham, “What’s [Not] New in Trinitarian Theology,” Reviews in Religion and Theology (1997): 14-20; idem, “Trinitarian Theology since 1990” Reviews in Religion and Theology (1995): 8-16; and idem, David S. Cunningham, These Three are One: The Practice of Trinitarian Theology (Oxford: Blackwell Publishers, 1998). After all, it is more than a little ironic that Augustine himself is chiefly responsible for the shift in antique culture from private, mystical asceticism towards an understanding of the indelible communal nature of human life, especially Christian ecclesial living. Robert Markus calls attention to Augustine’s communal monastic rules as well as the vision of the City of God in order to argue that Augustine transformed Greco-Roman culture by steering it away from its concentration on the isolated self. Augustine held that “the most insidious form of pride, the root of all sin, was ‘privacy,’ self-enclosure” (Robert Markus, The End of Ancient Christianity [Cambridge: Cambridge University Press, 1990], pp. 73-83). Similarly, Charles Norris Cochrane argues that it was Augustine’s “discovery” of trinitarian personhood that revolutionized life in the ancient world (“Nostra Philosophia: The Discovery of Personality,” chapter XI in Christianity and Classical Culture: A Study of Thought and Action from Augustus to Augustine [London: Oxford University Press, 1957], pp. 399-455). This “image.” then, is both an ineradicable structural feature of created human life and an essential aspect of mankind in need of redemption. Every human being is inescapably related to God and other human persons, but these relations, as a result of the fall, are perverse and abnormal. What this means is that if the image of God is not merely “located” within the human individual possessing various faculties, but also in humanity in its social relations as it reflects God, then the church must be included in any consideration of the renewal of the image of God. It is not surprising that ultimately the image of God should focus on community. As the doctrine of the Trinity asserts, throughout all eternity God is community, namely, the fellowship of Father, Son, and Holy Spirit who comprise the triune God. The creation of humankind in the divine image, therefore, can mean nothing less than that humans express the relational dynamic of the God whose representation we are called to be. Consequently, each person can be related to the image of God only within the context of life in the community with others. Only in fellowship with others can we show forth what God is like, for God is the community of love—the eternal relationship enjoyed by the Father and the Son, which is the Holy Spirit (Theology for the Community of God [Broadman & Holman, 1994], p. 179. See also his recent work on the subject of the image of God: The Social God and the Relational Self: A Trinitarian Theology of the Imago Dei (Westminster/John Knox Press, 2001). Given the fact that the Trinitarian identity of the Christian God is the identity of the Christian God, how do the other bloggers on Ref21 (who are all ministers) ensure that the action of worship in their churches on a Sunday is truly Trinitarian? For theologians such as Gregory Nazianzus, John Calvin and John Owen, Christianity in all its aspects, theoretical and practical, was Trinitarian; yet the oft repeated comment of theologians such as Colin Gunton, to the effect that Western theology is modalist and functionally unitarian, seems well-made; and this surely renders worship more narrowly and the Christian life more broadly as both unChristian and vulnerable to syncretistic forces from Islam. Or, from another angle, is the practical ignorance among church leaders of the first five centuries of Christian thinking having a damaging effect not simply on the catholicity of contemporary Protestant theology, but also upon its understanding of who God is and how we relate to him, both in the worship service and in the worship of everyday life? It just so happens that I have a thought or two about these issues. Covenant and sacrifice are ultimately grounded in God’s eternal tri-Personal communal life as Father, Son, and Holy Spirit. The eternal personal relations between Father, Son, and Holy Spirit are covenantal. The mutual love, obedience, and self-sacrificial giving and receiving that characterizes the relations of Father, Son, and Holy Spirit in eternity is the origin and ground of God’s covenant with us and our covenantal relations with one another. In other words, the bond of love between the three Persons of the Trinity has been graciously extended to embrace human creatures. Reformed theology and worship has not always given careful attention to the fundamentally Trinitarian character of genuine Christian worship. This is made explicit in Ephesians 2:18, “Through Christ we . . . have access in one Spirit to the Father,” but it is embedded in the entire record of Scripture. I believe that it is precisely this trinitarian dynamic that is jeopardized in so much of what passes for Christian worship in modern churches. Our liturgy must exhibit an explicitly trinitarian content and shape if it is be genuinely and recognizably Christian worship. I will take two chapters to unpack this. First, I will make a case for a deep, inexorable connection between the form of worship and our doctrinal confession. Next, in the following chapter I will unpack the significance of this nexus for the order and substance of our worship. If worship is reduced to evangelism, education, experience, or even praise, the Persons of the Father, the Son, and the Holy Spirit need not play a vital role except possibly as objects of worship. In contrast, Christian liturgical worship has the Father effectually calling his people into his presence by the Spirit and then renewing his church in Jesus Christ his Son. The gathered church, as it receives this service from the triune God, then responds by the enabling power of the Spirit with thanksgiving and praise in Christ directed to their heavenly Father. The Spirit has been sent by the Father to bring us to the Son, and with the Son, to the Father. A liturgy that embodies this reality will be ineradicably trinitarian in “both directions”—as God serves us and as we serve God. And as always, what is done in the assembly on the Lord's Day will affect the Christians way of living in the world. I believe that Luther was right when he insisted that the meaning of baptism is best revealed in infant baptism. Infant baptism is the norm. Adult baptisms are not. When the passive, utterly dependent infant is carried down the isle and has water poured upon her, this is a powerful reminder of the utterly free and sovereign grace of God. The sacrament is the work of God upon the child, not vise versa. Faith never comes first to be followed by God’s grace. God’s grace comes first and enables infants, children, and adults to believe. The sacrament of infant baptism is all about the free electing grace of God. I believe this is the great scandal of infant baptism, which is so despised in America, the land that celebrates individual freedom and self-appointed destiny. Baptism reminds us that man is at the mercy of God and self-appointed destiny is a delusion. God freely saves helpless infant-like people. Baptism is not primarily the outward confession of the faith of the baptized. The action symbolized in this sacrament is not horizontal, but vertical, the movement from heaven to earth, from God to man. It is not a confession of what man has done or of the faith someone possess or of the experience that someone may have had. Infant Baptism is all about God in his Sovereign freedom acting upon a passive infant. The infant has done nothing to merit such a covenant, such a gracious relationship. The infant cannot even exercise adult faith. There is nothing that the infant does to draw down the love of God. The love of God is freely given. With nothing foreseen or foreknown. This infant, in the all-controlling providence of God, was born by God’s precise appointment into this Christian family. And now God will formally enter into covenant with the child without asking the child’s permission. Without securing the child’s consent. The child is passive. The child does nothing. The child by Adamic nature deserves eternal death. This is not a child dedication. As cute and as lovable as these children who are brought to the baptismal font are, unless we have abandoned the biblical faith, we must confess that they are dead in trespasses and sins. They are not to be paraded around the sanctuary before they are baptized as if this were some sentimental ceremony. Gee, God loves little babies so much doesn’t he? Well . . . he loves those who have been washed from their corruption and guilt. And he loves those babies who are united to his beloved Son Jesus Christ. And that is what we are about here at this font. God will cleanse and deliver this little girl, even though she was born in sin. This is the meaning of the water being poured from above. Nothing and nobody - not the parents not the baby girl - nobody has any influence over God in the salvation of this child. No amount of Parental technique will assure her salvation. God decides her destiny. It comes from above, like the sprinkling. The alternation between “him” and “them” as well as the “male and female” strongly supports an interpretation of the image that embraces man’s social life, the pairing of male and female being paradigmatic. Moreover, I agree with Francis Watson when he argues that Barth does not go far enough when he describes the image of God in a strictly dualistic fashion as male and female corresponding to Father and Son (Church Dogmatics 3/1, pp. 182-205). Watson argues that “it is preferable to speak of an open community at both the divine and human levels. The triune God seeks communion with the human other; correspondingly, male and female do not remain self-enclosed but are fruitful and multiply” (Text, Church, and World: Biblical Interpretation in Theological Perspective [Edinburgh: T & T Clark, 1994], p. 150). Just as God is essentially a relational being, so also man is ineradicably relational. Adam and Eve are who they are in relation to God and to one another. Walter Brueggemann notes, “On the one hand, mankind is a single entity. All human persons stand in solitary before God. But on the other hand, humankind is a community, male and female. And no one is the full image of God alone. Only in community of humankind is God reflected. God is, according to this bold affirmation, not mirrored as an individual but as a community" (Genesis [John Knox Press, 1982], p. 34). Likeness to God consists in the fact that human beings are persons while the remainder of the created world is not. We are in certain ways analogous to the persons of the Trinity, in particular in being in mutually constitutive relations to other persons. Who and what we are derives not only from our relations with God, our creator, but to those others who have made and continue to make us what we are. Just as Father, Son, and Holy Spirit constitute the being of God, so created persons are those who, insofar as they are authentically personal—and we shall return tot his matter—are characterized by subsisting in mutually constitutive relations with one another. . . . Just as to be God is not to be an individual, so to be man, as male and female, is to be created for life in community (The Triune Creator: A Historical and Systematic Study [Eerdmans, 1998], p. 208). In order to get acquainted with the overall argument of Augustine’s City of God begin by reading the entire first book, then read these chapters in the order listed: 2.1—2.4, 3.1, 4.1—2, 5.1, 6.1, 9.1, 11.1, 12.1, 14.28, 15.1, 17.1, 19.1 (first paragraph), 19.17, 20.1, 21.1, 22.1, 22.30. Reading these selected chapters will prove to be a better overview than reading any “Introduction” written by someone else; you’ll get a feel firsthand for Augustine’s style and concerns without the interference of the interpretations of a reviewer. Reading these selections instead of jumping right in and plodding through the entire book will give you a fine overview of the major themes of the various books without having to struggle through the complexities of Augustine’s argument. After reading these, if you feel like you would like to read more, look over the lists below and choose a chapter. If you begin to read a book and find yourself in the middle of some discussion about which you know nothing (nor care), then move on. Only be careful, some of Augustine’s more brilliant arguments, the kind that upon finishing call for “oohs” and “aahs,” often concern questions or objections from pagans that may not be directly applicable to our situation, but which, in the process of Augustine’s analysis, often yield some very important insights. For example, consider Augustine’s extended refutation of the objection from scoffers against eternal death to the effect that the material body could not possibly suffer pain eternally without being destroyed (Bk. 21.2-8). This argument is simply brilliant and affords lots of meat for meditation. Part 1 (Bks 1-10): “From this world’s city there arise enemies against whom the City of God has to be defended, though many of these correct their godless errors and become useful citizens of that City” (1.1). Books 1—5: “I write against those who maintain that the worship of the gods—I should rather say, of evil spirits [daemones]—leads to happiness in this life” (Letter to Firmus). Books 5—10: “. . .we shall answer those, who, in spite of being disproved and refuted by unanswerable proofs, persist in the assertion that the gods are to be worshiped not with a view to any advantage in this life but with a view to the life after death” (1.36). Part 2 (Bks 11-22): “My task is to discuss, to the best of my power, the rise, the development and the destined ends of the two cities, the earthly and the heavenly, the cities which we find, as I have said, interwoven, as it were, in this present transitory world, and mingled with one another” (11.1). Books 11—14: The origin of the two cities. Books 15—18: “Since I have said enough about the origins of these two societies [Bks 11-14] . . . it seems to me that I should undertake to describe their development from the time that the first pair began to produce offspring up to the time when mankind will cease to reproduce itself. For the development of these two societies which form my subject lasts throughout this whole stretch of time, or era, in which the dying yield place to the newly-born who succeed them” (15.2). Books 19—22: “It is clear to me that my next task is to discuss the appointed ends of these two cities, the earthly and the heavenly” (19.1). The words we traditionally use to translate Hebrew terms in the "sacrificial" system are confusing and often convey the wrong ideas. If we are going to understand Leviticus and the old world system of sacrifices and offerings, the first thing we have to do is get the words right. We use English words to translate some of the Hebrew terms in Leviticus that are not helpful, but are in fact loaded with all sorts of unfortunate connotations. The book of Leviticus is a book of rituals (mostly) and the language used is extremely precise. I believe our Bible translations make these rituals obscure because of traditional, but inappropriate designations. I hope I'm not sounding arrogant. Once you get the words right, the sacrificial rituals are much easier to understand and can be better appreciated for their practical instruction. Take for example, the noun "offering" and the verb "to offer." I look at my English translation (it doesn't matter which one) of Leviticus chapter one and see the word "offering" used over and over again (16 times). The verb "offer" also occurs over and over again throughout the book of Leviticus. Offering and offer. What's the problem? What does the word "offering" mean to you? Well, an "offering" is something "offered" to someone else, right? It's something we hope to give to someone either as a gift or maybe to patch things up? A husband "offers" his wife flowers to help mend things after a fight. A boss "offers" an employee an opportunity. If I offer you something, you have to reach out and take it or at least accept it. Two people make some sort of exchange when something is "offered." The essential idea of an "offering" is that something is given, a present or gift given to another. Something passes from one person to the next: "I offer you this . . ."
Now, you might think that this word "offering," as we have explained it above, occurs all over the book of Leviticus. After all, aren't all the "sacrifices" named "offerings"? No, they are not. The Hebrew word that comes closest to meaning what our English word "offering" denotes is minchah. This word is often translated "grain offering" because it usually involves the fruit of the ground (but not always). You can find the word all through Levitus chapter 2, for example. Even so, the word minchah is never used in the Hebrew Bible to refer to any of animal "sacrificial" rite. For instance, the word is not found in chapter one, even though the English word "offering" is used there repeatedly. The LORD called Moses and spoke to him from the tent of meeting, saying, “Speak to the people of Israel and say to them, When any one of you brings an offering to the LORD, you shall bring your offering of livestock from the herd or from the flock. If his offering is a burnt offering from the herd, he shall offer a male without blemish. . .
Notice that how the words "offering" and "offer" dominate the last sentence. This translation, I believe, creates the wrong impression about what is being prescribed here. The Hebrew word translated "an offering" is qorban. It is related to the verb qrb, which means "to draw near, to approach." It's not too hard to figure out. A qorban is something that is brought near, something that or someone who approaches something or someone else. The word does not have anything to do with "offering" someone something or exchanging gifts. It's about someone or something approaching or drawing near. What Yahweh says to the people is: "When a man draws near to Yahweh with something that is brought near from the livestock or from the flock. . ."
That's rather literalistic and wooden, but it brings out the meaning of the Hebrew nicely. The worshipper is not "offering" something to Yahweh. At least that's not the idea here. The worshipper is "drawing near" (qrb) with a "something brought near" (qorban). The entire emphasis here is spacial. It's about coming near to God. It's about being invited to draw near to God. Yahweh speaks from "the tent of meeting" (Lev. 1:1) and gives instructions to the sons of Israel through Moses about how to visit his house. This is one of the most important points to learn about the "sacrificial system": it's about drawing near to God. It prescribes the manner in which one is to enter Yahweh's personal space, his house. A qorban is not an "offering" to God, rather it's "a nearbringing," if we can invent a neologism. Every time that something is described as an "offering," it is almost always really a "nearbringing" (qorban). They are not "burnt offerings" or "sins offerings," rather, they are "things that are brought near" to Yahweh. Indeed, as we shall see, these "nearbrinings" represent the worshipper, who himself is drawing near through these ritual acts. If I had the opportunity to go back and edit my book The Lord's Service, this is one of the corrections I would make to the terminology I use throughout the book. I'll explain a little more about that later on. The first argument stems from the biblical truth that humanity has been created in “the image of God” (Gen. 1:26, 27) and that the renewal of that image involves not only what happens within individual hearts and minds in relation to God, but also inevitably includes the transformation of our social relations (Eph. 4:24 with 5:1 and 5:22-6:9; Col. 3:10 with 3:12-4:1). Without rehearsing the convoluted theological history of the problems associated with the precise identity of the “image of God,” I only wish to call attention here to few salient introductory points before moving on to consider its social dimension. First, whatever else it means, humanity not only bears the image of God in that we inescapably reflect God, but humanity is also called to image God. The image of God is both a gift and a task. “Image” is therefore appropriately used as noun and a verb. Most Reformation theologians have therefore spoken both of post-fall humanity’s retention of the image and of our inability after the fall to fulfill our calling to actively image God. The question, then, for us is: does the image of God embrace the social dimension of humanity’s created existence? And if it does, what bearing does God’s own eternal sociality have upon our understanding of humanity’s calling to image God’s life on earth? "The best suggestion approaches the trinitarian understanding but employs less direct terminology. Thus Hasel calls the us of v. 26 a ‘plural of fullness,’ and Clines, God here speaks to the Spirit, mentioned back in v. 2, who now becomes God’s partner in creation. It is one thing to say that the author of Gen. 1 was not schooled in the intricacies of Christian dogma. It is another thing to say he was theologically too primitive or naïve to handle such ideas a plurality within unity. What we often so blithely dismiss as ‘foreign to the thought of the OT’ may be nothing of the sort. True, the concept may not be etched on every page of Scripture, but hints and clues are dropped enticingly here and there, and such hints await their full understanding ‘at the correct time’ (Gal. 4:4)” (The Book of Genesis Chapters 1-17 [Eerdmans, 1990], p. 134). Being privileged to live “at the correct time,” and having been trained by the New Testament authors to read the Old Testament with the new eyes afforded us by the final, defining revelation of the Son of God, we know that all three persons of the Godhead participated in the creation of the world and humanity, specifically that God the Father created the world, as Irenaeus has nicely put it, using his “two hands,” the Son and Spirit. H. C. Leupold says, “Behind such speaking lies the truth of the Holy Trinity which, as it grows increasingly clear in revelation, is in the light of later clear revelation discovered as contained in this plural in a kind of obscure adumbration. The truth of the Trinity explains this passage” (Exposition of Genesis: Volume 1 [Baker Book House, 1949], p. 86). As Christians, therefore, we cannot but read Genesis 1, with its narrative description of God, his Spirit, and his powerful Word, as a trinitarian text, and the “let us make man in our image” of Gen. 1:26-27 as a reference to the uncreated original “social” God creating man to reflect the life of Father, Son, and Holy Spirit within man’s own dynamic social relations with his Creator and fellow creatures. Okay, so it took me a while, but I finally got our Xbox 360 today. Typically, I get the new games systems the day they are released (PS 2 & Xbox, for example). But this time I thought it would be best to wait. As it turned out, there hasn't been any drop in price since the 360 was released. I wanted to wait to see which system looked the most promising. PS 3 is too expensive and doesn't seem to be doing very well in sales. The 360 isn't all that much less in cost, but the game base is there. Besides, hey, Halo 3 is coming out in September. What can I say? So we sold our old Xbox system and 5 good games for over a hundred bucks on eBay. Then my son earned most of the money necessary to purchase the 360. I added a little at the end so we could purchase it and play it before the summer ended. Last night I went to Circuit City and got a new Xbox Elite (the black case is very nice). We got an elite because it came with an HDMI cable and it was black. I had also read that the Elite system was a bit more stable. Don't know if that's true or not, but it sounded good to me. It's also got a huge hard drive (120 GB) for storage. Did I mention that it was black? It is. The only game we've got right now is Lost Planet. Wow. Double wow. The graphics on a HD monitor are stunning, very fine. I've yet to be able to play the game; I just watch when my son plays. But he's getting ready to leave for a while, so maybe I'll try it out. Before I begin framing arguments, it may be helpful to stop and restate my thesis. There are good biblical and theological reasons for thinking that the Trinity is the archetype of the communal life of the Church. Simply put, he Church images the triune sociality of God. The oneness of the community of the Church and the unity of Father, Son, and Holy Spirit are intimately connected. This means, on the one hand, that the heart of the mystery of the unity of the church is de facto grounded in the unity of Father, Son, and Holy Spirit. Cyprian described the church as “a people united by the unity of Father, Son, and Holy Spirit.” This theological reality remains hidden from us and must be accepted by faith, even when it is not experientially evident in the historical church. But the connection between Trinity and Church also means that the manner by which individual Christian people are united in one ecclesial community, in both local and larger contexts, ought to reflect the way in which Father, Son, and Holy Spirit are personally united. Clearly this simple assertion begs for clarification and qualification, a task I will address later. For now, suffice it to say that what I am concerned to defend is that the members of the Christian ecclesial community have a task set before them—to make their fellowship into a visible image of the community of the Holy Trinity. In other words, if the Church of Jesus Christ is to live in a godly way, she must by grace be transfigured into the kind of rich, loving community that is the triune God. To put it another way, if a person wants to live in a godly way, he or she will relate to others in the church in a manner that reflects the manner in which the three persons of the Trinity live together. Remember, too, that God's renewal of humanity begins in the Church. The Church is the nursery for the kingdom. Therefore, the more the Church becomes a community modeled on God's triune communal love, the more we can expect the world as a whole to learn how to live as subjects of Christ's cosmic kingdom. Just got back from the seeing HP & the Order of the Phoenix. Not bad. Not great. I hadn't read it in some time so I didn't notice too much all the ways in which it departed from the details of the book. My son did. My wife did. Even so, it's always interesting to see if the movie matches what you imagined things to be like. I think they did a very nice job with #12 Grimmauld Place. The acting was mostly quite good. Luna was perfectly understated. But I'm not sure I like the way Gambon plays Dumbledore. He doesn't have the kind of personal presence that I imagine D to have. The last scene (the dual between Dumbledore and Voldemort) was sort of a Star Wars light saber fight with wands. They stripped the battle of the fascinating and significant verbal combat between the two. What is worse, I think, is that they reduced to nothing Harry and Dumbledore's spirited discussion in D's office at the end. Oh well, just a few thoughts. What did you all think? More suspicious associations have also dampened the interests of conservative Presbyterian theologians. Social trinitarianism often appears like a weapon in the hands of those who wage war against confessional Protestantism. Orthodox Protestants are suspicious when they see how these newer social trinitarian theologies have been used to justify and ground philosophies of religious pluralism. Moltmann and LaCugna, for example, appear to dissolve the ontological Trinity into the economic. Radical proposals similar to this are not confined to traditionally liberal circles. More and more Evangelicals are adopting what has been called “open theism” and using social trinitarian arguments as part of their case against classical conceptions of God. Worse and worse, the theological pioneers responsible for initially formulating a “communio” ecclesiology grounded in the trinitarian communion were mostly Roman Catholic and Eastern Orthdox scholars. I am not here referring to the genesis of modern social trinitarian theology, but to the theological ground-breaking work of Catholic and Orthodox scholars like Rahner, von Balthasar, De Lubac, Congar, Ratzinger, and Zizioulas, who worked to make explicit connections between the inter-personal relations and unity of God, on the one hand, and the life and structure of the Church, on the other. These men laid the foundation for Vatican II’s revised “communio” ecclesiology.” Given confessional Protestantism’s intensely anti-Roman posture, is it any wonder that there is widespread suspicion of trinitarian-based ecclesiological reflection? The fact that trinitarian reflection on the life of the church originated in modern Roman Catholic and Eastern Orthodox circles does nothing to endear such theologizing to orthodox Protestants. All of these associations—with ecumenism, socialism, pluralism, heterodoxy, Roman Catholicism, Eastern Orthodoxy—no doubt cause the hair on the necks of confessional Reformed and Lutheran theologians to stand up. Surely there are “safer” and much more pressing theological research programs that demand our immediate attention. That may well be. I would not want to argue that theologizing about the Church in the light of the Trinity is somehow a critical necessity for our generation. I want to make a more modest appeal. It seems to me that we could do much worse. The Church finds herself in deplorable shape. She is divided across confessional, denominational, even cultural lines. She has succumbed to the siren call of individualism and democratized her liturgical and sacramental life, especially in America. Colin Gunton has argued that our the current ecclesiastical malaise cries out for a trinitarian analysis. “. . . the manifest inadequacy of the theology of the church derives from the fact that it has never seriously and consistently been rooted in a conception of the being of God as triune. . . . because [the Trinity] has been neglected, the church has appropriated only a part of its rich store of possibilities for nourishing a genuine theology of community” (The Promise of Trinitarian Theology, p. 57). I will argue that given all the significant reasons to be cautious about drawing conclusions about how our life together ought to be lived in the church based on our understanding of God’s triune relational life as Father, Son, and Holy Spirit, that it nevertheless ought to be thoughtfully pursued by orthodox confessional Protestants. There are good prima facie reasons for doing so. Okay, here's some really cool trinitarian speculation from Jonathan Edwards. These first quotations are from The “Miscellanies” (Entry Nos. a-z, aa-zz, 1-500), ed. by Thomas A. Schafer, vol. 13 of The Works of Jonathan Edwards (New Haven, CN: Yale University Press, 1994). "There has been much cry of late against saying one word, particularly about the Trinity, but what the Scripture has said; judging it impossible but that if we did, we should err in a thing so much above us. But if they call that which necessarily results from the putting [together] of reason and Scripture, though it has not been said in Scripture in express words—I say, if they call this what is not said in the Scripture, I am not afraid to say twenty things about the Trinity which the Scripture never said." (Works, 13, p. 256-57; Misc. no. 94). "God created the world for his Son, that he might prepare a spouse or bride for him to bestow his love upon; so that the mutual joys between this bride and bridegroom are the end of creation" (Works, 13, p. 372; Misc. no. 271). "This spouse of the Son of God, the bride, the Lamb's wife, the completeness of him who filleth all in all, that for which all the universe was made. Heaven and earth were created that the Son of God might be complete in a spouse." (Misc. no. 103). "God made all things, and the end for which all things were made, and for which they are disposed . . . is that God's glory may shine forth and be received (Works, 13, p. 496; Misc. no. 448). “The end, the ultimate end of the creation of God was to provide a spouse for His Son, Jesus Christ, that might enjoy Him, and on whom He might pour forth His love. Heaven and earth were created in order that the Son of God might communicate His love to His spouse and bring that bride into the very family life of the Trinity" (Misc. no. 710). “It seems by this to have been God’s design to admit man as it were to the inmost fellowship with the deity. There was, as it were, an eternal society or family in the Godhead, in the Trinity of persons. It seems to be God’s design to admit the church into the divine family as his Son’s wife” (Miscellanies, 741; vol. 18, p. 367). It really doesn't get much better than that. Personally, I don't think this is speculation at all. I believe Edwards is exactly right about the end or goal of creation. This is systematic theologizing at it's best, grounded in the story arc of the Bible as a whole. Social trinitarian concerns are not well represented in Reformed tradition. Perhaps what is not explicitly dealt with in our own confessional books will always be viewed with suspicion. As far as I can tell, neither the confessions nor the catechisms of the Reformation and Protestant Scholasticism explicitly connect the Church’s common life together with God’s communal life as Father, Son, and Holy Spirit. No doubt, this lacuna within the symbolic books of the Reformation reflects the fact that the Reformers themselves, while affirming and defending the Trinity, and clarifying its defining significance for the divine-human relationship, nevertheless, did not attempt to develop a trinitarian theology of human-human relationships within the church. This second theological move, although hinted at by earlier, pre-Reformation trinitarian theologians, has only begun to be explored by modern theologians in tandem with the blossoming of interest in what has been called “social trinitarianism” in the 20th century. I think one can detect such a fear, for example, in Peter Toon’s Our Triune God: A Biblical Portrayal of the Trinity (Wheaton, IL: Victor Books, 1996), esp. chapters 2 and 3. Sometimes this “fear” of modern trinitarian theology manifests itself in the absence of any mention of modern insights; so, for example, in Robert Morey’s 600 page doctrinal exposition of the Trinity not one 20th century trinitarian theologian is even mentioned, let alone interacted with (The Trinity: Evidence and Issues [Grand Rapids, MI: Word Publishing, 1996]). Those modern Reformed theologians that have done work in trinitarian theology more often than not evidence Barthian sympathies, a fact that certainly does not help them gain a fair hearing in more traditional Reformed academic communities that often have good reasons for being highly suspicious of neo-orthodoxy. It doesn’t help any that Barth himself was at the headwaters of the revival of interest in the doctrine of the Trinity in the twentieth century. In fact, Barth does, however imperfectly, discuss the community of the church in the light of the doctrine of the Trinity (Church Dogmatics, 4/2, The Doctrine of Reconciliation, trans. by G. W. Bromiley [Edinburgh: T & T Clark, 1958], pp. 643ff. The trinitarian scheme of Barth’s ecclesiology is everywhere evident in his works (see Colm O’Grady, The Church in the Theology of Karl Barth [London: Geoffrey Chapman, 1968], p. 99). One also suspects that the association of social trinitarianism with left-leaning socio-political agendas and ecumenical efforts has dampened the interest of confessional Reformation communities, which tend to be much more conservative in their social philosophies. 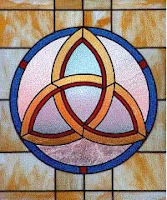 One might argue that for many modern theologians not only how one might use the Trinity as a ideal for reform in church and society, but also how one formulates a doctrine of the Trinity has a great deal more to do with certain pre-theological sociological and political commitments than to careful expositions of the Bible and received trinitarian theological tradition. Those who favor radical pluralization in church and state often develop or adopt more radical social constructions of the Trinity. This does not mean, however, that all influences arising from one’s life in a specific church or culture ought to be excluded when theologizing about the Trinity. Zizioulas notes that the ecclesiastical experience of the early church helped shape the development of the patristic doctrine of the Trinity (lex orandi, lex credendi) (John D. Zizioulas, Being as Communion: Studies in Personhood and the Church [London: Darton, Longman, & Todd, 1985], p. 16ff.). Miroslav Volf suggests that “the trinitarian character of the church was gradually acquired parallel with the growing consciousness of God’s triune nature” (After Our Likeness: The Church as the Image of the Trinity [Grand Rapids, MI: Eerdmans, 1998], p. 195). Certainly our experience of God within the liturgical, sacramental, and communal life of the church affects our understanding of the Trinity. What would seem suspicious, however, is allowing our extra-ecclesiastical political and social experience to dictate how we construe the Trinity, especially when we have some secular agenda to push. The “socialist” programs of radical modern theologians, who argue from the communitarian nature of God for egalitarian social agendas, do not sit well with American orthodox theologians. The easy rapidity with which many modern social trinitarians move from theological reflection on the interpersonal trinitarian relations to egalitarian social and political conclusions is astonishing. And it is indeed a contemporary novelty not found in the Christian tradition. The church seems to be bypassed or, if included in these reflections, becomes little more than an instrument for accomplishing sociopolitical goals directly skimmed off of the creamy top of their trinitarian speculation. Even modern trinitarian theologians who evidence a more “conservative” bent overall often readily use their social construal of the Trinity to argue for egalitarian structures of ministry within the government and liturgical life of the church. One can sympathize with the skepticism of conservative Reformed theologians. But is this the only way to do trinitarian theology? Is social trinitarian theologizing always and only a foil for socialist political visions?